Fume hoods are one of the most energy intensive types of equipment in a laboratory environment, but significant savings can be achieved by keeping them closed when not in use. 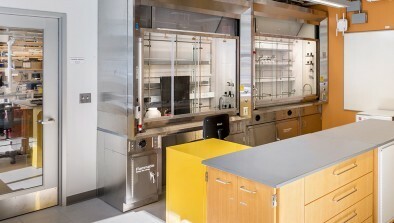 The Shut the Sash fume hood competition was started in 2005 in the Harvard Chemistry and Chemical Biology (CCB) Department as a way to combat the high energy consumption of variable air volume (VAV) fume hoods. 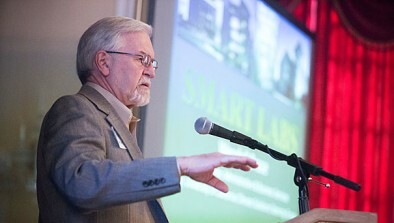 Since then, the 5-lab pilot program has expanded to involve 19 labs and over 350 researchers. The program has high visibility department-wide and has led to significant improvements in user awareness and behavior. To date, this program saves more energy than any other behavioral program at Harvard. Monthly competition with goals for each lab established in terms of exhaust airflow averages (in cubic feet per minute). Each lab has customized goal based on number of hoods, usage patterns, and exhaust airflow ranges. This allows for lab to lab comparisons despite differences in research habits and lab setups. Real-time exhaust airflow readings for each lab are taken every 30 minutes automatically through the building automation system (BMS). These points are used to track performance on a daily, weekly, and monthly basis. Each month a pizza party is raffled off to one lab that met its goal for the previous month. Bi-annual wine and cheese celebrations reward labs that are consistent on an ongoing basis. Researchers are excited to see the results, and there is a very “feel-good” atmosphere at the parties, as everyone feels that they have contributed to the success. Prompt reporting of fume hood problems ensures that issues are identified and resolved quickly, further contributing to energy savings. Close your sash each time you walk away from the hood—and remind your lab-mates to do the same! Email greenlabs@harvard.edu with questions or more information (internal requests only please). Be the voice for your lab: report any fume hood issues to facilities ASAP to ensure they are resolved as quickly as possible. Posters with up-to-date charts of the results are posted every month on each lab’s bulletin board. Each lab has appointed a volunteer within their lab to emphasize the importance of keeping unused sashes closed and to report any problems with the hoods promptly. Presentations and recognition at the bi-annual wine and cheese parties to celebrate the semester’s accomplishments. The Green Labs program has designed two stickers which it uses as part of its outreach efforts. Organizations outside Harvard can use the templates provided below to make their own magnets and stickets. Download the "Below the red zone" sticker design. Download the Shut the Sash magnet design.